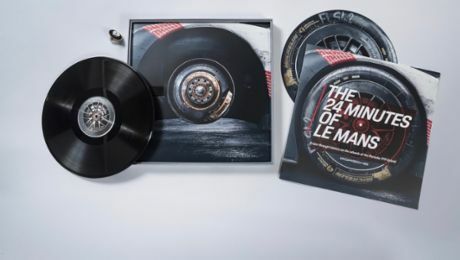 After having achieved the third consecutive Le Mans victory, Porsche also managed a hattrick in the six-hour race at the Nürburgring: Like in 2015 and 2016, Timo Bernhard and Brendon Hartley climbed on to the top step of the podium. In 2017 the duo were joined for the first time by Earl Bamber in winning this race. The 911 RSR claimed two podium places. It was the second race triumph for the Porsche LMP Team in 2017 and the 15th in total for the 919 Hybrid since its debut in 2014. The sister car with reigning world champion Neel Jani (CH), André Lotterer (DE) and Nick Tandy (GB) finished second having led the race for a long time. This outcome marks the fifth one-two FIA World Endurance Championship (WEC) race result for Porsche, the last dating back to the 2015 Shanghai race. More quotes in the press release (downloads). 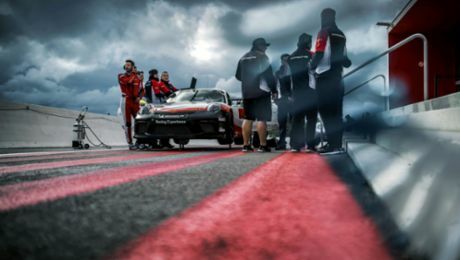 A successful home race for the new Porsche 911 RSR: The racer, designed and built by Porsche Motorsport in Weissach for this season, claimed two podium places. In the #91 vehicle, Richard Lietz (Austria) and Frédéric Makowiecki (France) secured second place in the fiercely contested GTE-Pro class on the Eifel circuit. At the wheel of the second 911 RSR (#92) fielded by the Porsche GT Team, Michael Christensen (Denmark) and Kévin Estre (France) finished on third in front of 52,000 spectators. 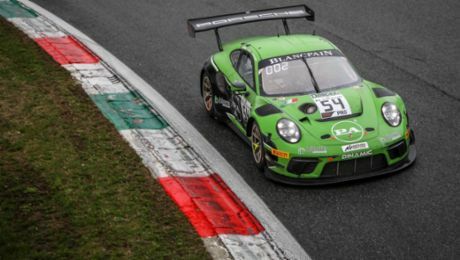 In the GTE-Am class, the Porsche Young Professional Matteo Cairoli (Italy) celebrated his first win in the world championship with the 911 RSR run by the Dempsey Proton Racing customer squad. Dark clouds hung over the Grand Prix circuit of the Nürburgring as the 29 contenders took off into the six-hour race. However, the dreaded changeable Eifel weather stayed away. The odd raindrop had no influence on the race. Despite taking up the race from pole position, Michael Christensen was unable to hold his front spot and fell back to fourth place in the first lap after making a braking error. However, his teammate Frédéric Makowiecki moved up into position two and later even took the lead. After the first round of pit stops, the old qualifying order was restored: Kévin Estre led the strongly represented GT field with the #92 car, with the #91 vehicle driven by Richard Lietz running third. Implementing different pit stop strategies, the team colleagues swapped positions several times over the course of the race, and by half way a 911 RSR was still holding its own at the front of the field. This changed only two and a half hours before the finish, when the Ferrari pulled ahead. From this point on, the 911 RSR put in consistent lap times to maintain a commanding second and third, and remained out of reach to the flag for the rest of the GT field. In the GTE-Am class, in which Porsche customer teams fielded the 911 RSR from the 2015 model year, Dempsey Proton Racing celebrated its first win of the season. Sharing the cockpit of the #77 racer was the Porsche Young Professional Matteo Cairoli (Italy) with Christian Ried and Marvin Dienst from Germany. After their third place at the season opening round at Silverstone and second at Spa, they followed the law of series and took the flag as the winners.